You can enjoy moments of flipping your hair with our video taking function, just like the actual studio. I’m A Dove Girl Application will capture all the moment of your hair flip with a total of 9 shots sending them in to compete with others, in order to have a chance to be the next Dove Girl in a Dove advertisement. So, don’t forget to share your picture with everyone on your Facebook and Instagram, so everyone can enjoy your beautiful hair moment! 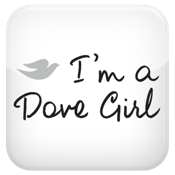 Stand a chance to be the next Dove Girl, show off your beautiful hair moments before anyone else . . . Enjoy your hair flip moments from today until the 9th of August 2013 only!